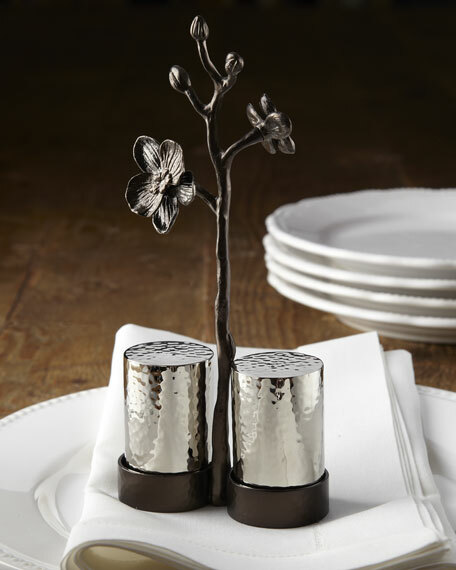 Salt and pepper set in an orchid blossom designed base takes on an organic appeal. By Michael Aram. Handcrafted of stainless steel and black nickel plate. 3.5"W x 1.75"D x 7"T.